Hey Jason, do you have any medical school wait list strategies? Sorry to hear you've been wait listed. The first thing I'd do is determine the medical school(s) policy on contacting them if you've been wait listed. Some medical schools actually prefer that you do not contact them until all admissions decisions have been finalized whereas other schools you can start making the case of why you should be moved off the wait list immediately. 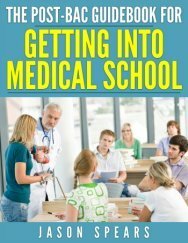 Typically, what students do who've been wait listed is to contact the medical school to reaffirm their interest in attending. Also if there has been any updates in activities, grades, research/publications, etc. you want to convey this to the medical school. Don't contact multiple medical schools you've been wait listed at and tell them this is your top choice school to attend. The medical community is actually smaller than you think and word does get out. Your best avenue is to be honest and direct without lying or embellishing the facts. Being wait listed is a precarious situation because you don't know where you fall on the wait list or why you're there in the first place. But it beats an outright rejection from a medical school. 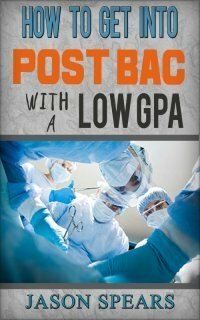 By May 15th students who have been accepted to multiple medical schools are going to have to narrow down their choice to just one medical school. It's going to be at this time you'll begin to see movement with the wait list as the medical school attempts to round out its incoming class. Unfortunately, there's no tried and true method for getting off the wait list. Obviously, you're a qualified candidate if you've been placed on the wait list and now it is just a numbers game. The school knows what type of entering class (demographics) they want to have and most likely will move students off of the list based on their needs e.g. underrepresented minority, who's in-state vs out of state, science vs. non-science major, and male vs female, etc. Also you can be pulled off the wait list at any moment up until the first day of classes. It is not unheard of for a wait listed student to be called and asked if they can come start medical school in two days. I know it's a very stressful process with all the waiting involved when wait listed but try not to stress things overall and begin to consider what will be your back up plan if you ultimately do not get moved off the wait list.